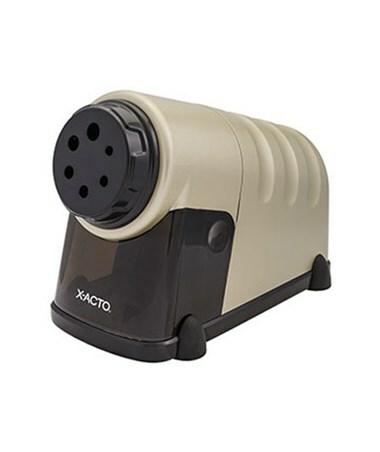 Designed for commercial and classroom settings, the X-Acto Model 41 Commercial Electric Pencil Sharpener has the largest and most powerful motor in the X-Acto line of sharpeners. It features twin hardened steel helical cutters that provide dual cutting action for faster and more efficient sharpening. Aside from the auto-reset system, it comes with an internal cooling fan to help prevent over-heating during extreme and continuous sharpening. 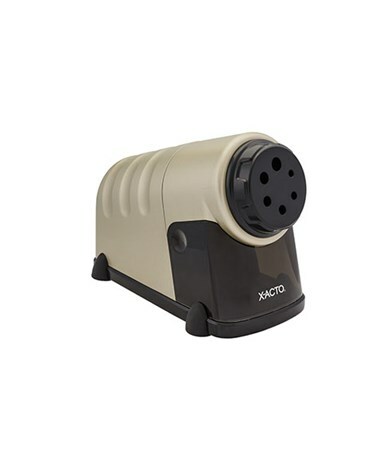 This commercial electric pencil sharpener accommodates six pencil sizes with its adjustable pencil guide. 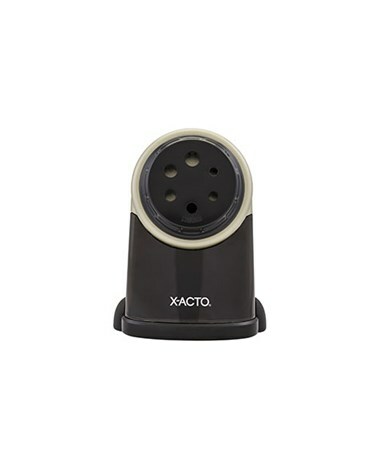 It is equipped with Pencil Saver technology to prevent over-sharpening. 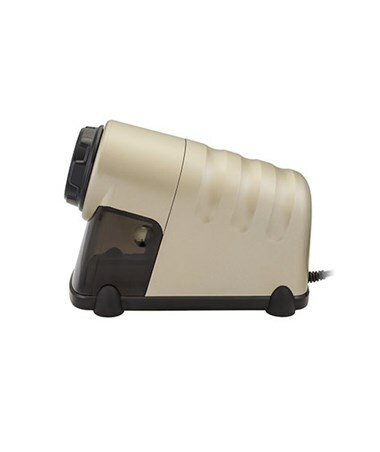 To ensure safety, it has Safe Start Operation feature which stops the sharpener’s operation once the shavings receptacle is removed. It also has a non-skid bottom for a steady and accident-free sharpening. 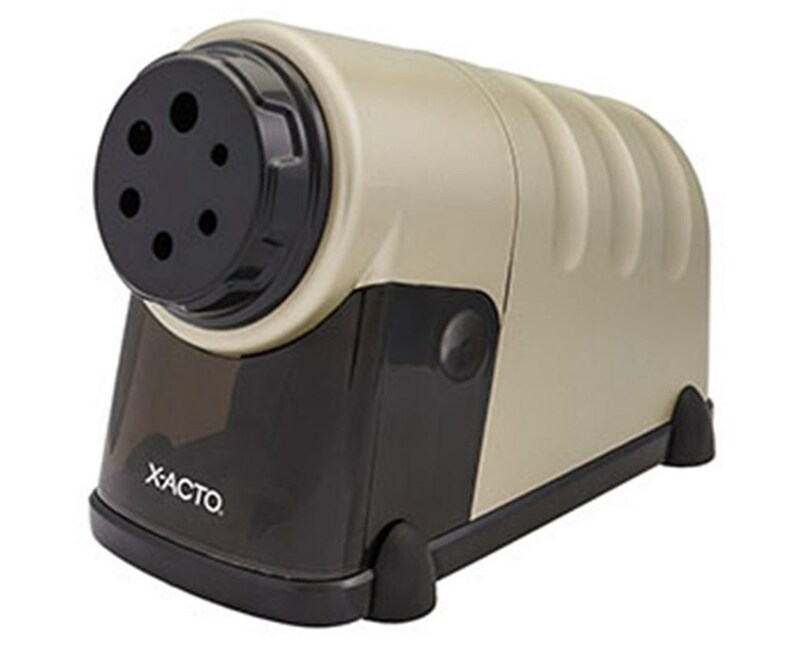 For durability to withstand heavy usage, the X-Acto Model 41 Commercial Electric Pencil Sharpener is engineered with commercial grade heavy-duty metal construction. 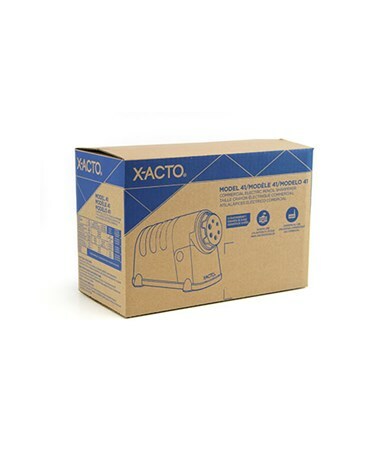 Its oversized shavings receptacle can hold high volume shavings to guarantee an uninterrupted sharpening for a long time.